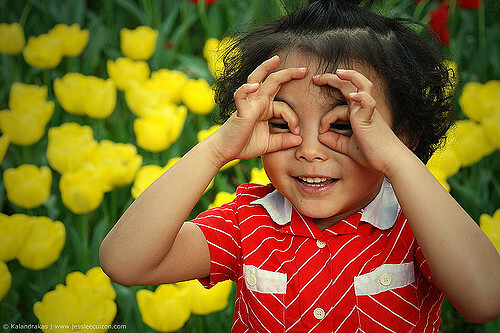 According to the American Optometric Association, as much as 80 percent of a child’s learning is visual. So whether they’re reading a book, learning math problems on a dry erase board or dissecting a frog in biology class, kids rely on their vision as much as, if not more than, any other educational tool. Melody Thompson’s daughter Tyra was preparing to start kindergarten when the Nashville-based mom of three noticed that one of Tyra’s eyelids was drooping. After seeing a doctor, they learned that the official name for the condition is “ptosis.” And while Tyra’s ptosis didn’t affect her sight, in severe cases, it can cause a complete obstruction of vision in an eye if the eyelid droops low enough to cover the pupil. Dr. Carl Flinn, an optometrist in Memphis, notes that ptosis is fairly common in children. Another condition frequently seen in children is amblyopia, or the lack of visual development. The major refractive errors that can cause amblyopia include near-sightedness (also known as myopis), in which distant objects are out of focus; far-sightedness, in which distant objects are clear and close objects appear blurred; and astigmatism, in which eyes take on a football shape and both distant and close objects appear blurred. Less frequent, Flinn says, are cases of infantile cataracts, which can cause irreversible vision loss if left untreated, or instances in which a child can see clearly out of one eye but poorly out of the other. Regardless of the condition, however, Flinn and other eye health experts recommend early and frequent vision screens for children. 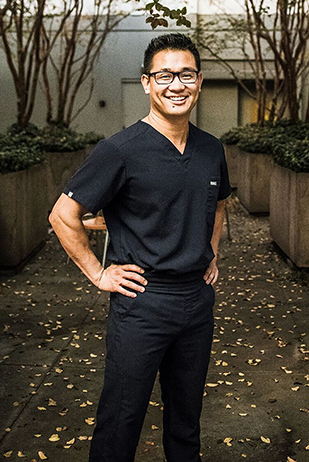 And, says Dr. Ming Wang, director of Nashville’s Wang Vision 3D Cataract & LASIK Center, failure to closely monitor a child’s visual health early can lead to long-term damage. Wang advises parents to begin screening their children at birth. At that age, his staff looks for congenital problems that may affect a baby’s vision, while older infants are tested on their ability to fixate on and follow an object. Toddlers are asked to recognize patterns, and older children are tested with a standard vision chart. Wang also encourages parents to be vigilant about screenings even if their child doesn’t appear to have any vision problems. At Tyra’s initial vision screening, when doctors diagnosed her ptosis, they also noticed that she was nearsighted. And even though Tyra’s need was only slight at the time, Thompson immediately ordered glasses for her daughter. Tyra’s nearsightedness has continued to progress over the years (she’s now 12 and in the fifth grade), but Thompson’s diligence has ensured that those vision problems haven’t negatively impacted any other aspect of her life. Thompson notes that her own nearsightedness (she began wearing glasses in seventh grade) may have caused her to pay extra attention to the visual development of her children. Unfortunately, though, not all parents are as acutely aware of the importance of monitoring their child’s eye health. In considering the biggest challenges in diagnosing and treating child vision problems, Wang says it actually comes down to a lack of parental education. Dr. Rebecca Norris, an optometrist at Nashville’s AccessorEyes, agrees. For parents who rely on the yearly vision screening performed by a primary care physician, Norris says that may not provide a comprehensive overview of a child’s visual health. “We are cognizant to apply sunscreen but forget that the sun’s UV rays can also cause damage to the eyes, which can increase the risk of cataract, corneal damage, and macular degeneration,” says optometrist Carl Flinn. This entry was posted in Dr. Ming Wang on June 5, 2017 by admin.